Photos of a prototype from Apple in 1983 have some asking, could this have been the original iPhone? Could this have been the original Apple iPhone, 1983? Check out these photos. No, you’re not seeing the latest version of the iPhone! 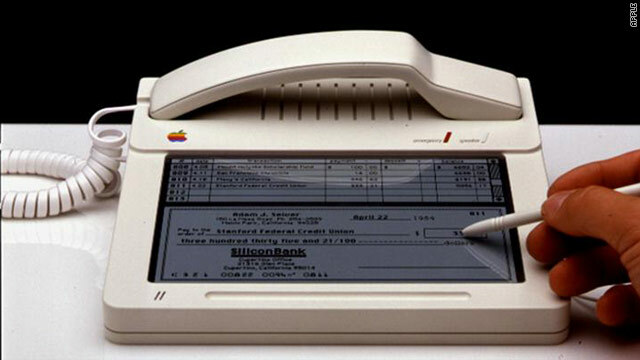 In fact, the photos show an Apple prototype from 1983 that never made it into the marketplace. Like the iPhone and the iPad, the device came with a touch screen and a stylus. 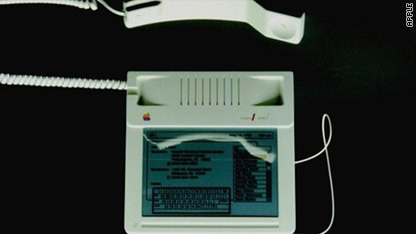 The man who designed this prototype, Hartmut Esslinger, also designed Apple’s first “portable” computer. Filed under: backstory • Science and Technology • U.S. It costs a lot to run for U.S. president, but this year’s campaigns are spending less on advertising and benefitting from a new form of financing called super Political Action Committees or super PAC’s. Fionnuala Sweeney talked with CNN’s Wolf Blitzer about the powerful new player in the race for president. Filed under: backstory • journalists • politics • U.S.
CNN's Tim Lister explains why the Strait of Hormuz is so strategically important and why tensions are rising there. Filed under: backstory • Iran • Iraq • journalists • U.S.
After nearly nine years in Iraq, the United States military is packing up its gear and bringing its troops home. The U.S. says the war is over, and Iraq is now a stable, sovereign country. If you ask Iraqis how they feel after almost nine years of occupation, the answer is not so cut and dry. Arwa Damon and Michael Holmes have been covering the war since the beginning. John Vause talked with them to help put it all in perspective. Check out this link to see some pictures from Michael Holmes after he recently visited a camp for displaced people in Taji, Iraq. Filed under: Arab World • Arwa Damon • backstory • Interviews • Iraq • Iraq War • John Vause • journalists • Michael Holmes • U.S.
On any given Sunday in the state of Georgia you will find college students attending Sunday school. But one unique group of college students doesn’t attend Sunday school in a church. And their classes aren’t led by a pastor or priest. Instead, they attend class in a secret location in Athens, Georgia. Thelma Gutierrez and I traveled across the country to meet these students and pay an exclusive visit to their Sunday school class. We were never given the school’s address and had to follow a guide to the location. When we got to the school, we were met by a diverse group of 33 students from different religious backgrounds who came from places as far away as South Korea, Morocco and ElSalvador. But they all had one thing in common; they were undocumented. Most grew up in the United States and attended public schools in Georgia - until now. These undocumented students had been banned from attending any of the top five state colleges in Georgia after the Board of Regents changed their admissions policy this fall. So, instead of just allowing these young minds to sit idle – four University of Georgia professors decided to take things into their own hands and created Freedom University. It's a school with college-level courses that they teach for free. One of the founders, Lorgia Garcia-Pena, already juggles her time as a mother and full-time Latin Studies professor, but says she can’t turn her back on these students. This is clearly a tough issue. The U.S. is struggling over just how many undocumented immigrants should be allowed to remain in this country, if any at all. This struggle is manifested at Freedom University– where a small group of professors, like Garcia-Pena, come down on the side of giving these students an equal opportunity. "We are aware that some people might not agree with what we are doing and not necessarily feel that this is a thing that we should be doing even though we are all doing this as volunteer work on the weekend. So we feel like we should protect the students from people who might not be happy about Freedom University. That's why we keep the location a secret." The students who attend the three hour class earn no college credit and they have to compete with each other just to get one of the coveted spots. The university had so many applicants students were turned away. Freedom University is held in donated space and is run entirely by volunteers. The volunteers we spoke to were very passionate about donating their spare time to help the students. Volunteer coordinator Allie McCullen says Freedom University is powered by hundreds of volunteers. "They do everything from tutoring for SATs to helping the students with their day-to-day assignments and they are driving all over Georgia." Since the students are undocumented, they’re ineligible for driver’s licenses. We saw first-hand how this group of volunteers operates. For example, one of the students failed to get a ride to class from a relative. The volunteers immediately sprang into action and a driver was quickly located and dispatched to pick up the student and drive her to class, even though she lived one and a half hours away. Freedom University has also rallied the community into action. When we were there a local Colombian caterer served up empanadas and baklava for lunch complete with Peruvian soda. Hundreds of people across the country have already shown their support for Freedom University by making donations online at their website www.freedomuniversitygeorgia.org. People can even purchase text books online. Freedom University exists because of the volunteers. But the school is really driven by the students’ hunger to learn. When we talked to the students, they were thrilled to be back in class. "Freedom University means a lot to me. I may not be getting college credit but it's my desire to get that college experience,” said one student. Another student said, "After graduating I felt like the door had been shut in my face and with this after waiting so long I am grateful and glad to be here." Having the class on Sunday accommodates the staff, as well as, the students’ work schedules. Many have paying jobs as tutors or domestics. While others work in the family business or even as farm laborers. So for now, these kids will continue chasing their educational dreams at Freedom University, where every Sunday they cherish the opportunity to go to Sunday school. CNN’s Thelma Gutierrez and Michael Schulder contributed to this report. A huge thank you to Cydney Millstein, an Architectural Historian in Kansas City Missouri and to Butch Rigbey, Chair of Thank You Walt Disney for their participation in telling this story. Also to Dan Viets of Kansas City. Their passion for history is appreciated. Filed under: Animation • backstory • Entertainment • History • U.S.